MSF ship Bourbon Argos is the first safe heaven these people have known since months. While getting on the deck this feels finally true. It’s the moment to be happy, to praise, to show gratitude and let the tensions out. Loris de Filippi, MSF medical coordinator, welcomes them on board. The crew of the Bourbon Argos, a search and rescue ship deployed by Doctors Without Borders/Médecins Sans Frontières (MSF), has been working save lives in the Mediterranean since May 7, 2015. In June alone, MSF workers on the ship rescued 1,057 migrants from dilapidated boats as they attempted to reach Europe. MSF has found people from sub-Saharan Africa and other countries including Nigeria, Syria, Morocco, Guinea, Ivory Coast, Bangladesh, Gabon, Senegal, and Mali attempting to make this deadly journey. Some people reported that they had been living most recently in Libya, before violence forced them to leave. MSF’s medical team onboard the Bourbon Argos has observed serious wounds, including a gunshot wound and a stab wound; minor injuries; dehydration from the sea journey; and several pregnancies. 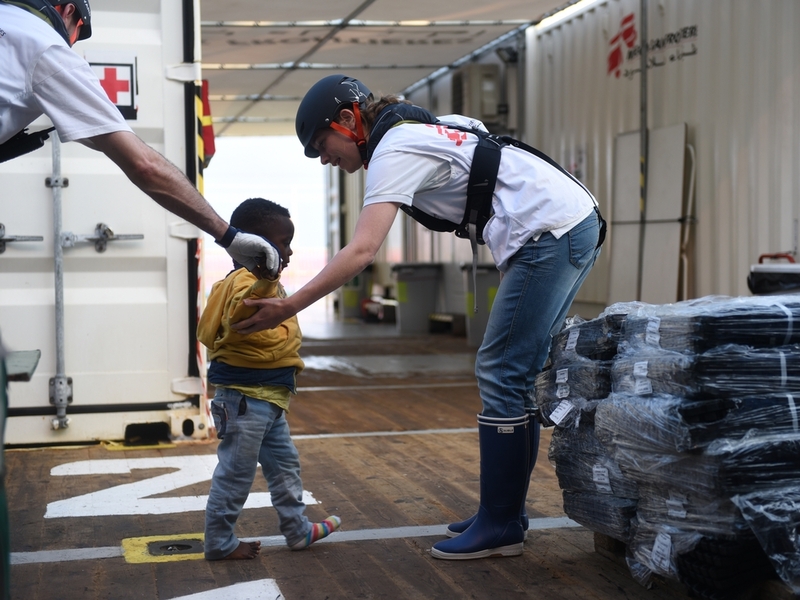 Here, some of the patients treated by MSF on the Bourbon Argos share their stories. “My name is Idowy and these are my children. We come from Nigeria but we lived in Libya for four years, where we had a normal life, working and living all together. One day we (the family) were inside the house and some guys came in with a gun, they threatened us and they took my husband, they tried to kill me. In the end, they left me and my children, but we couldn’t find peace there. We had to hide. We were hiding all the time and we couldn’t come out. The guys came back and we were scared. We had to move away. We went to the shore because we needed to get to the boats. I have my children and I had to save them. I knew if I would leave, I would have peace. That’s why I took my children and we ran away, joining the boats. I don’t really know where we were going to, but I believed that when I would be inside the boat I would be free, and I would be safe from the threatening, the guns... I have my children in my life and I have to take care of them. 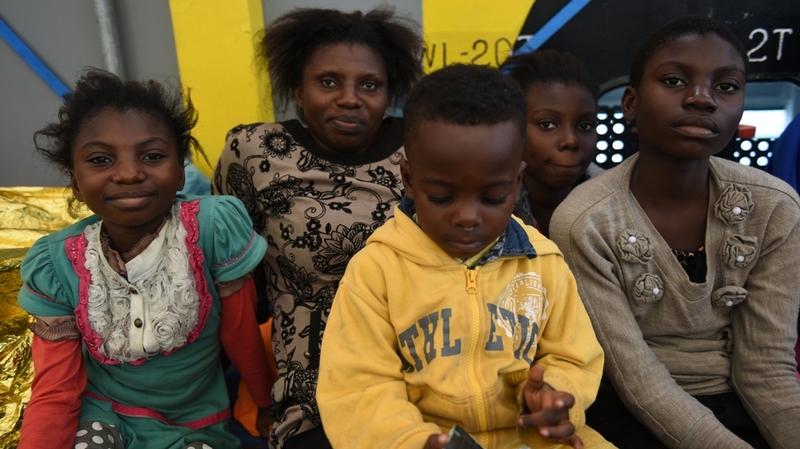 Idowy and her children were rescued in the Mediterranean Sea by the Bourbon Argos on June 7, 2015. Three-year-old Yazef, or Joshua, as his mother wants to call him from now on, was the first to board the Bourbon Argos when he and his fellow travelers were rescued from a boat in the Mediterranean Sea on June 7. Joshua soon got used to life on the Bourbon Argos. Muna, 35, is from Somalia. 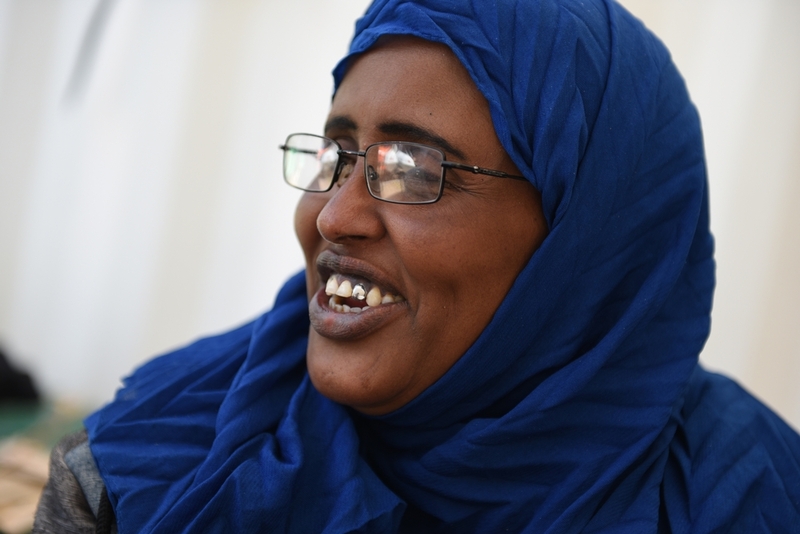 She has three sons, one in Sweden, two still in Somalia. “In Somalia I didn’t have any means to live and there was a situation of extreme violence, with bombs almost every day. I have an 18-year-old son who is a refugee in Sweden and I wanted to reach him. We made the procedure to ask [for] family reunification. But even if we had all the necessary documents, my request was not accepted. So I was forced to try this journey across the sea because it was the only way I had. In my journey I crossed several countries, Somalia, Sudan, then Libya. It took seven days by truck to cross the desert to the Libyan border. I saw a Sudanese boy die while falling from the truck, others were injured but survived. As soon as we crossed the border we found armed people coming from Niger that took us. Even if you are a woman, they treat you bad, they beat you, they don’t give you food or water. My journey to Libya took two months and seven days, then six hours in the sea. When we saw the ship we were so happy and now we are so happy to be here. Muna was rescued in the Mediterranean Sea by the British Navy, then transferred to the Bourbon Argos, which took her to Italy. Abdullah is from the Gambia. "My uncle worked for the government and he was forced into exile in Senegal. My parents gave me the money to reach him and then they died. To reach Libya it took three months and 3,000 dollars, crossing Senegal, Mali, Burkina Faso, Niger. Smugglers sell you to other smugglers, and you pay for every stage. They don’t give you food nor water, they beat you as dogs, they shout, they threaten you with the guns, and they shoot you in your feet. You can’t even sleep, cause if you close your eyes you fear that you will die. They are very mean. Even if they pray they are not true Muslims. 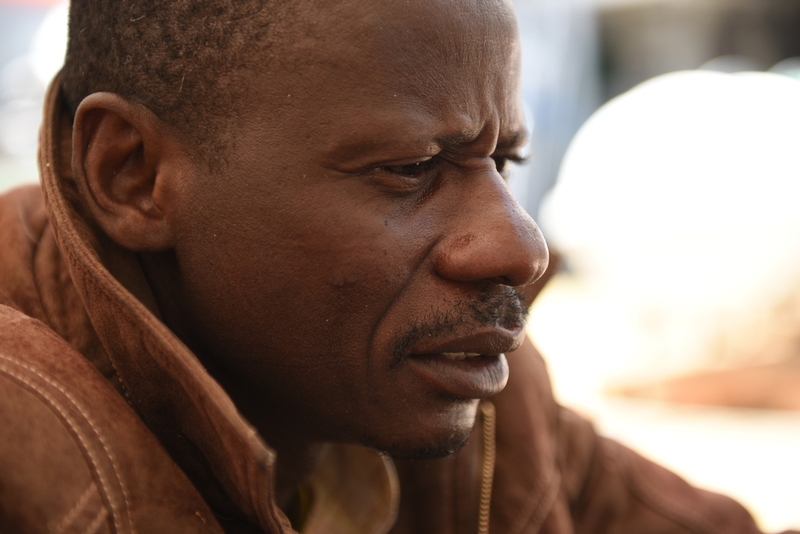 In Niger, before the Libyan border, they gather all the people that want to leave. We were 50. It takes [another] two weeks to reach Libya, two other weeks without food. I saw many people die in the desert, I saw them with my eyes. It’s hard, but it’s good for me to go back to those moments, I want people in Europe to know what happens there. When we reached Tripoli also the police asked us for money. I stayed there four months. But Africans were persecuted, I had to hide or they would take my money. If the police saw you they would take everything you have and lock you up, they would take us all. When they put you on the boat you know that it can bring only 50 people. But we were so many onboard. They don’t care if you will die, they fill the boats as much as possible. We left the shore at midnight, they just pushed us away. At early morning we were already [taking on] water and starting to sink. We were so scared. We had a satellite phone and I started to call 'Help, help us quickly!' Then we saw the Bourbon Argos, thank god you came! We don’t have money, we don’t even have shoes, 'cause they take everything they can. But we would give you all we have to thank you for this. I didn’t have any other chance. And now I am so happy, I feel as if I saw my mother again." Abdullah was rescued by the Bourbon Argos on June 3. Once onboard he helped the MSF team as a translator and facilitator, along with many other people who shared the journey towards Europe.